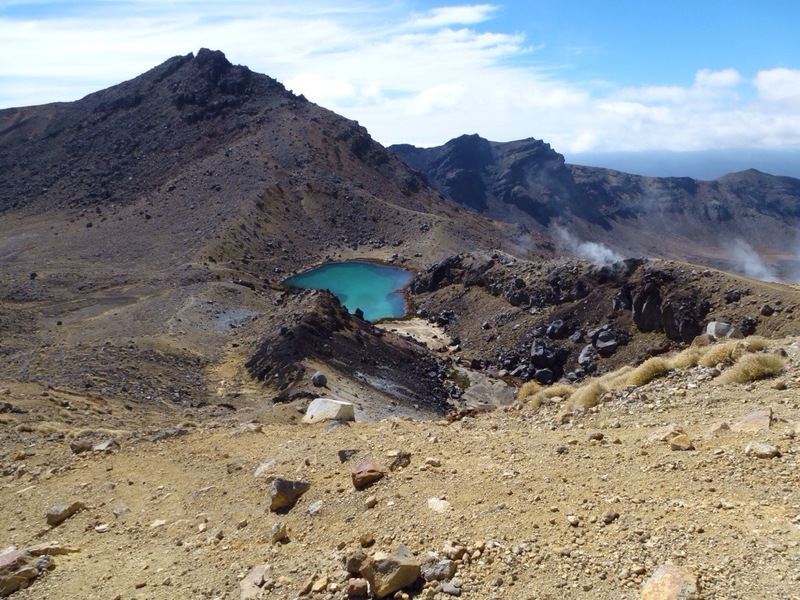 The Tongariro national park was a favourite stamping ground of my youth with many an adventure in summer and in winter playing in the snow and ice pretending to be a real mountaineer . One of the last times I did the ” crossing” was with my father and my brother Donald – maybe 30 years ago. This was shortly after Dad had retired. This time it was my turn – recently retired and back again to check out the amazing vistas of this now famous one day walk. Barb was very keen to complete this walk as we had attempted it in early winter 2 years ago and been forced to retreat due to the snow and ice and lack of crampons. 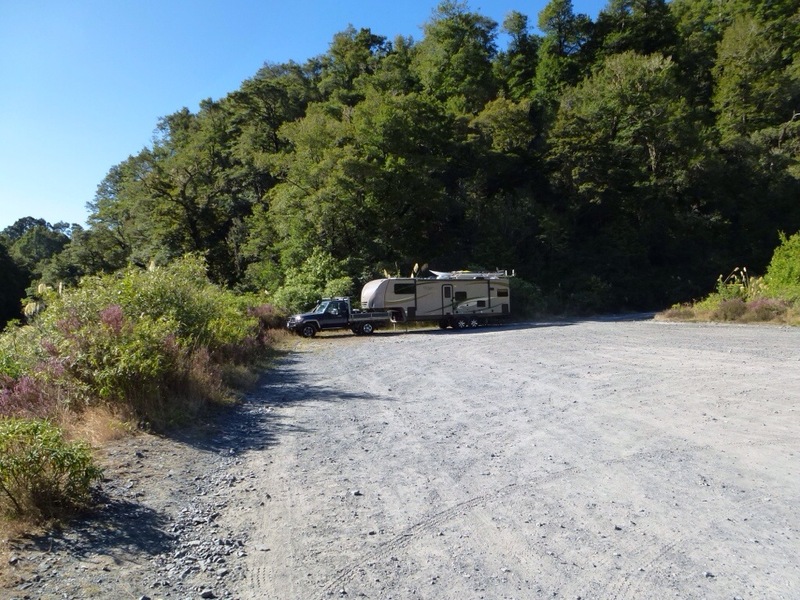 The day started crisp and frosty – we parked the 5 th for the night at Ketatahi carpark and picked up the 7.30 shuttle bus that ferry walkers to the normal start point , mangatepopo. Lots of others walkers – mostly young and with a big German presence streamed up the track like a procession on some sort of pilgrimage. 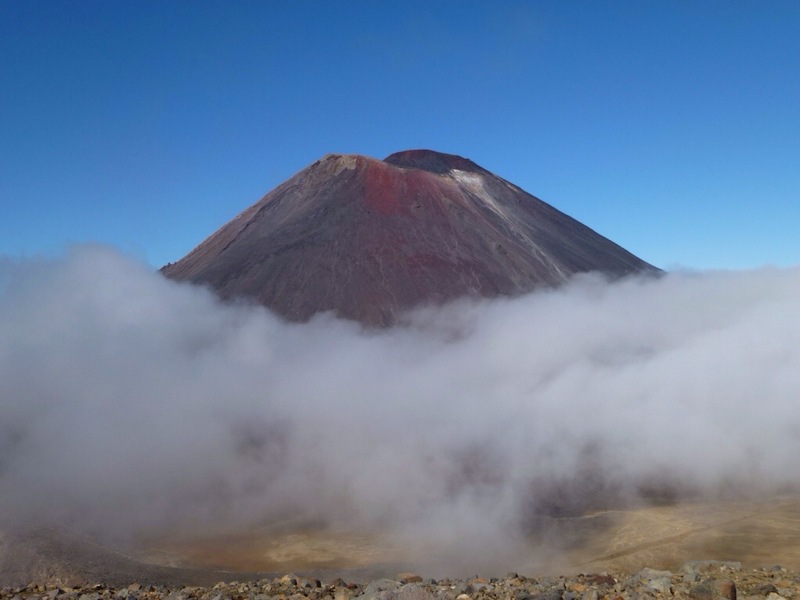 Low mist obscured the tops but by the time we crested the saddle to the sth crater a breeze started to move the cloud away to reveal the spectacular sight of Mt Ngauruhoe. 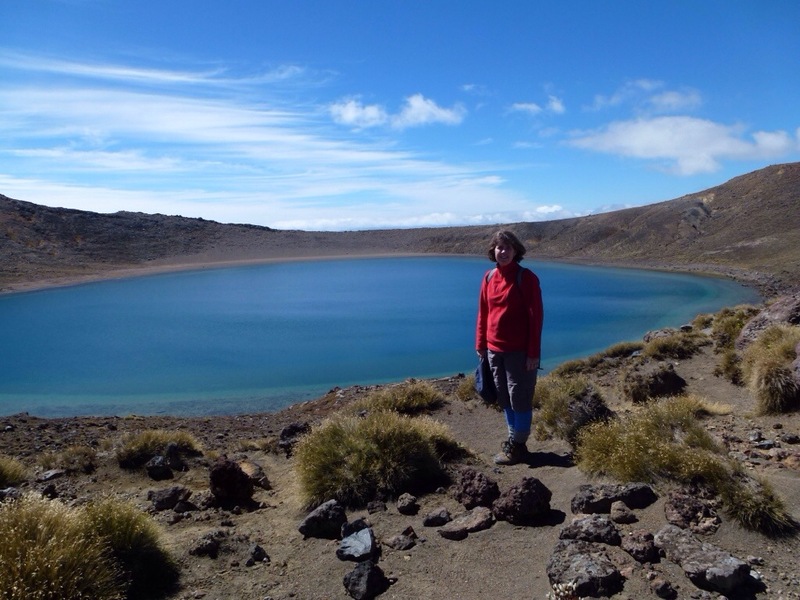 I’d like to say we raced to the top of the red crater and the fantastic volcanic scenery of the emerald and the blue lake – but that would be a bald faced lie. We struggled like a couple of geriatrics – puffing and gasping for strength . 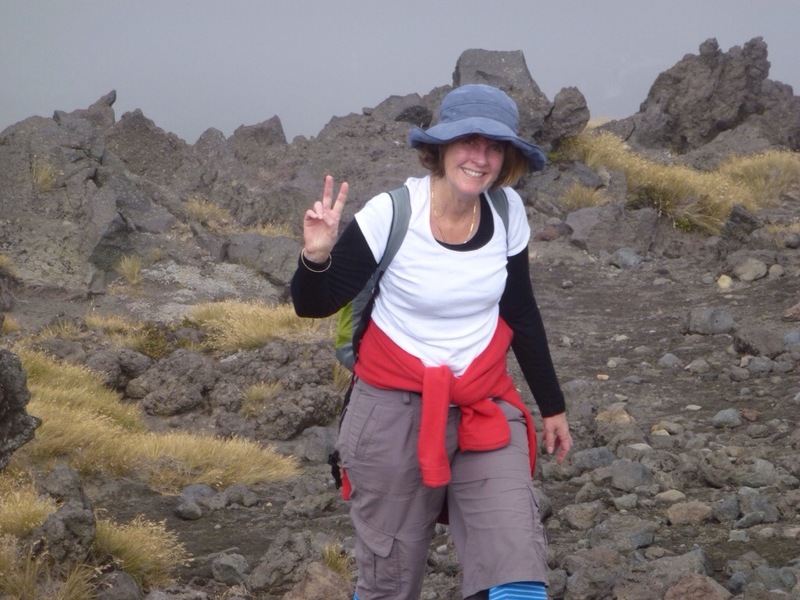 The long walk down from the blue lake to the ketatahi hut and down down down to the road seemed to last forever.Knees and feet screaming for respite. The promise of a hot shower and a cool beer was finally awarded at about 3pm. I think I now know how my father must have felt at the end of his walk. One of the 10 best one day walks in the world – some say.